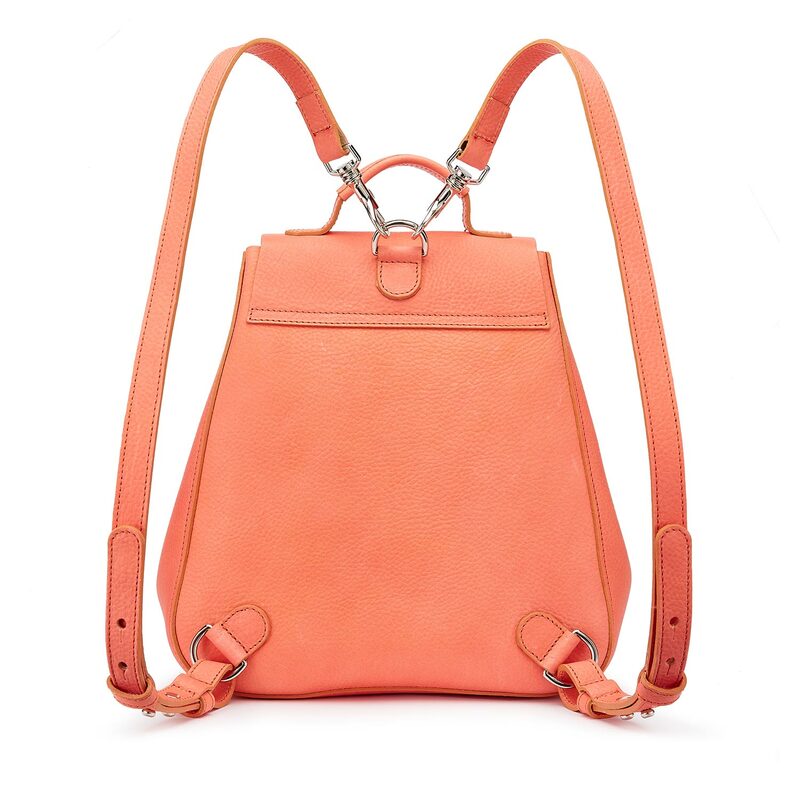 We’ve designed the Eliza to be whatever you need it to be. 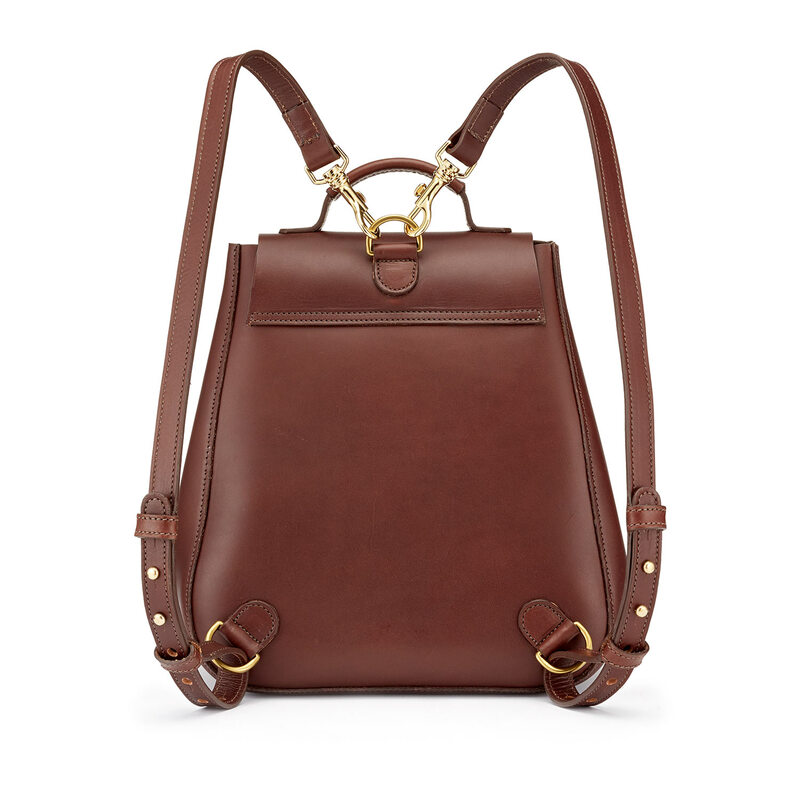 The shoulder straps on this stunning, fully veg-tanned leather backpack are adjustable or can be removed entirely, allowing you to transform the Eliza into a curvaceous handbag with a comfortable top handle. 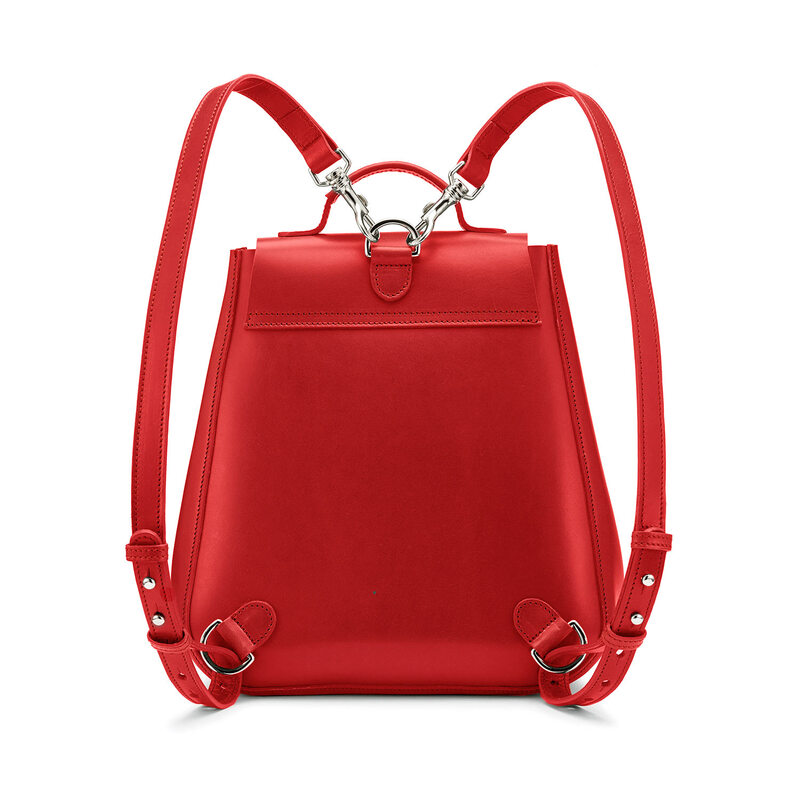 The Eliza in crimson-red bridle leather can’t help but bring joy wherever it travels. 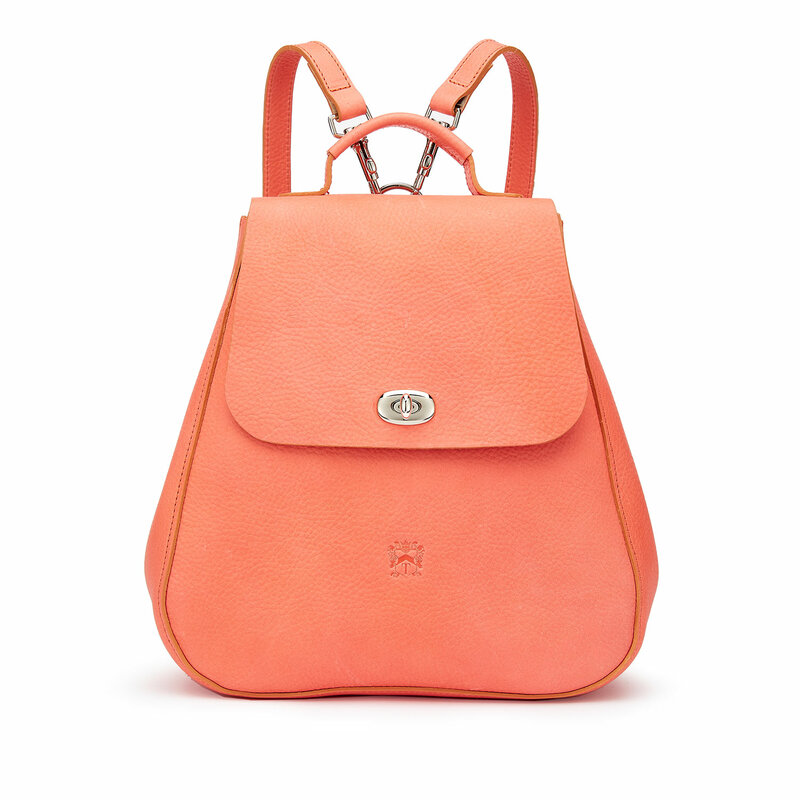 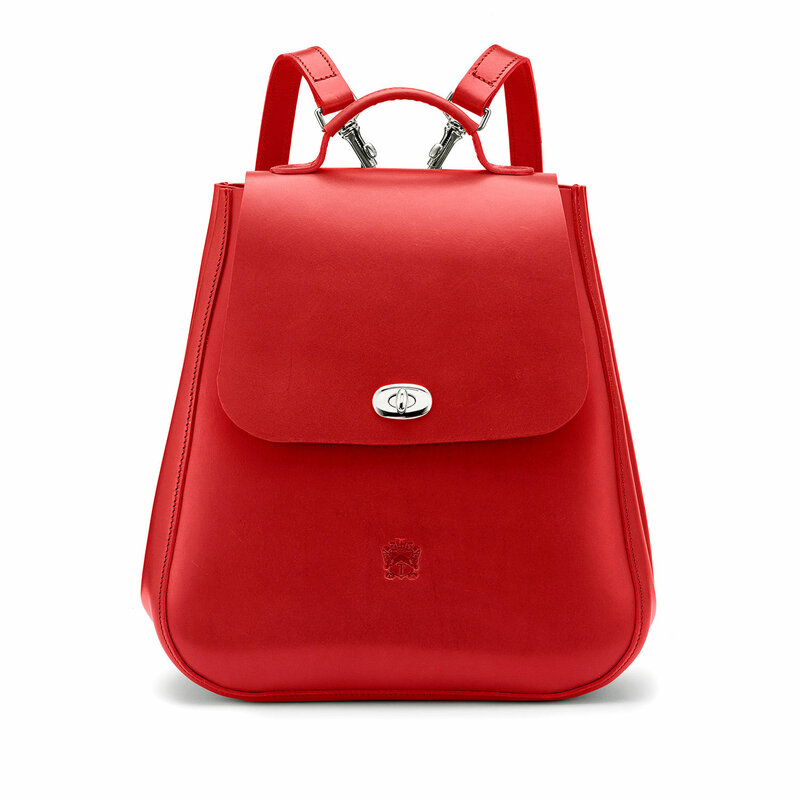 A stunning pop of colour, this veg-dyed luxury leather backpack is for the young at heart, not the faint-hearted. 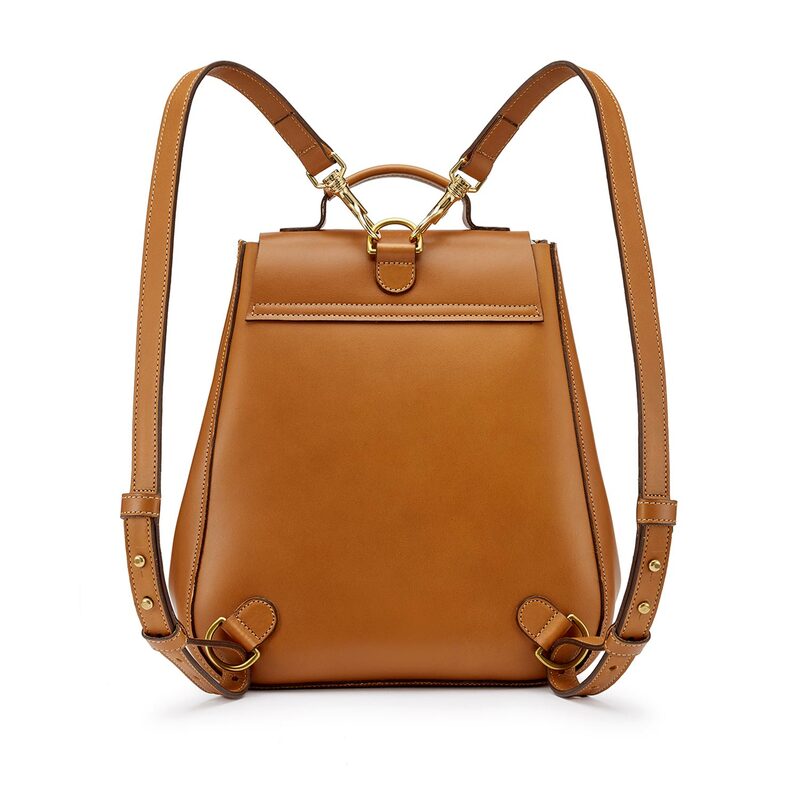 We think you’ll love it as much as we do. Like our popular scarlet red, our stunning spruce green leather treads the fine line between a courageous and classic style choice! We use pure vegetable dyes to achieve this beautiful rich emerald tone, which we’re sure you’ll agree suits the Eliza perfectly. 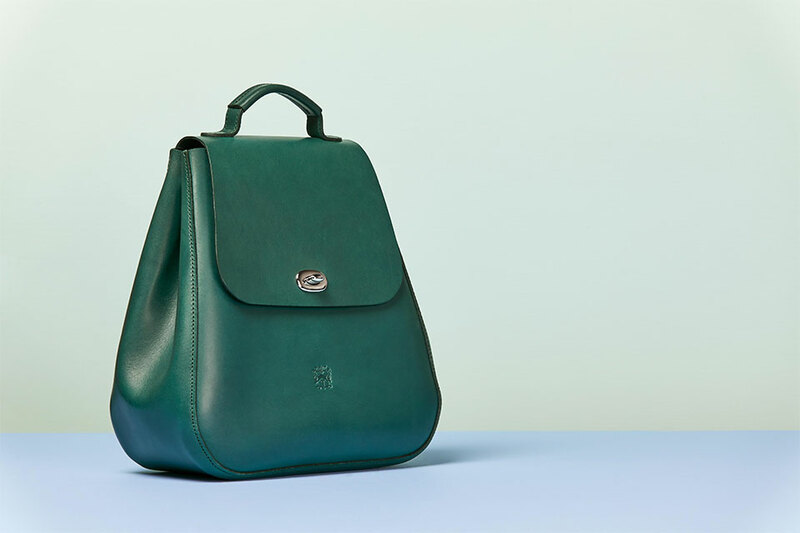 Like an elegant older sister to our Laguna blue, Marine blue is a popular choice for ladies looking for a subtle but stunning shade. 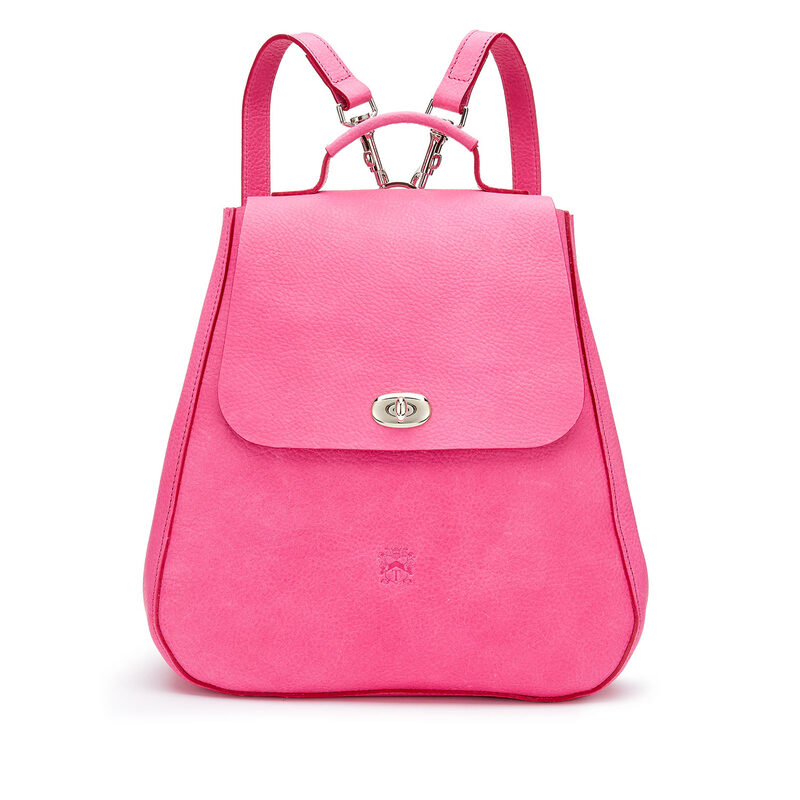 We think it suits the Eliza backpack perfectly: simple glamour that’s suited to both work and leisure. The Eliza backpack in rich caramel tan leather is enough to give us a tiny bout of wanderlust! 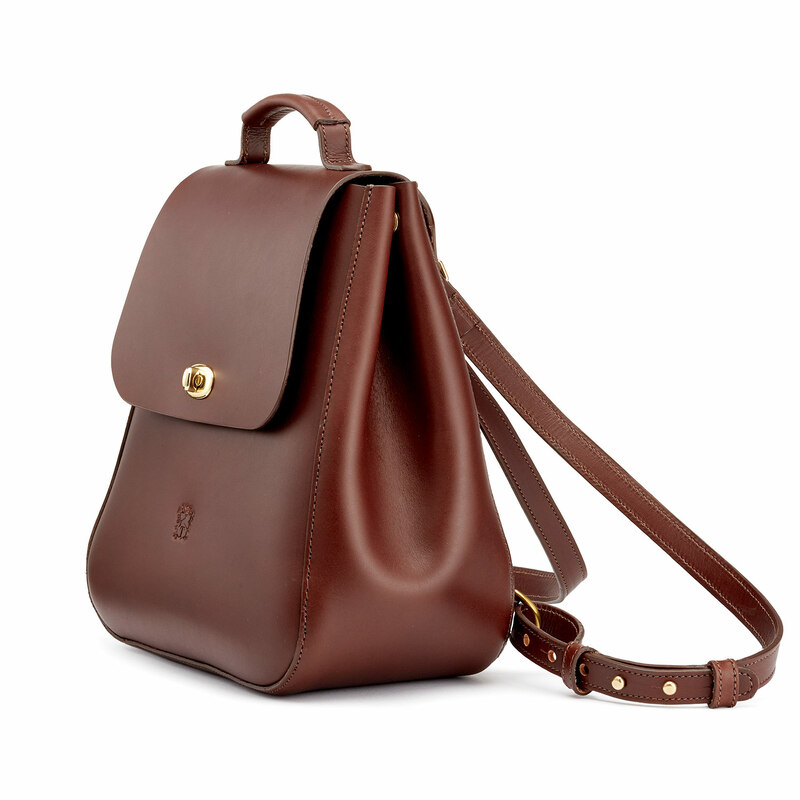 We can just imagine throwing our essentials into this gorgeous little bag and heading out to find adventures. Versatile, durable, beautiful. 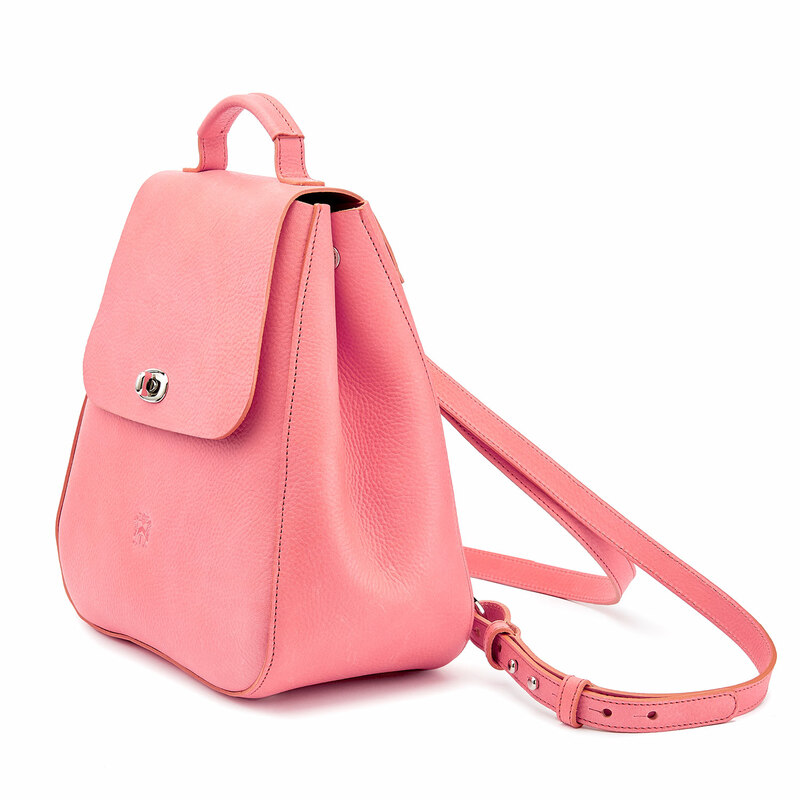 It’s not often we’ll describe our bags as cute but, sometimes, there’s just no better word. 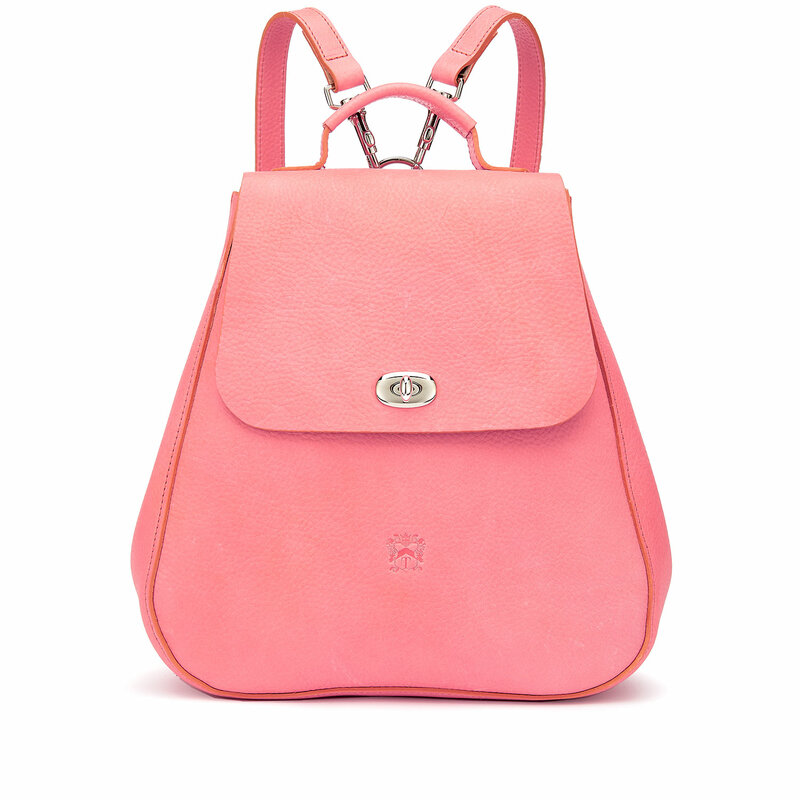 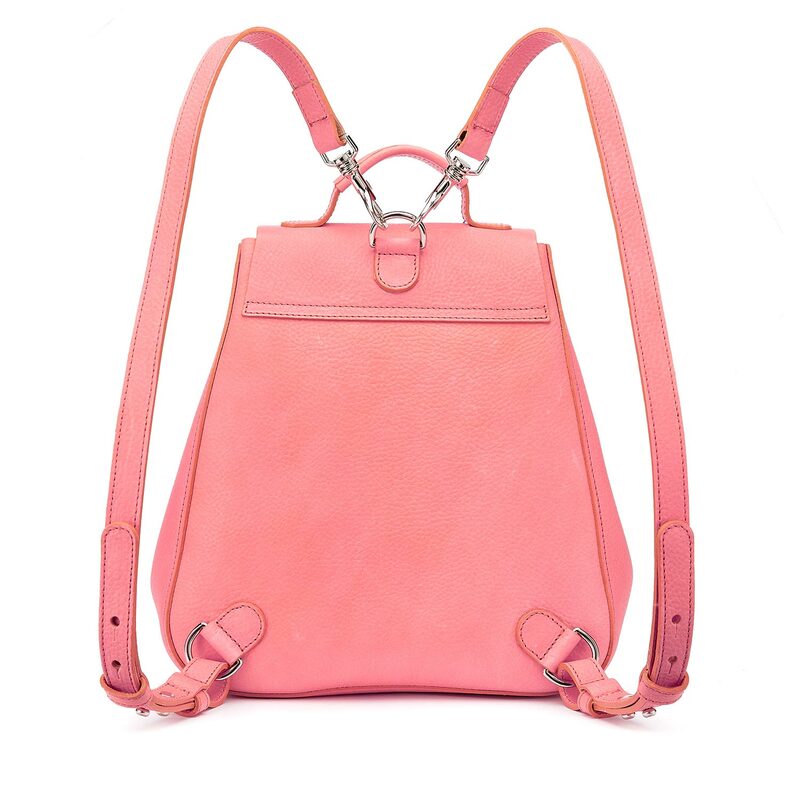 The Eliza backpack in vibrant Laguna bridle leather is simply adorable, perfectly petite and plenty small enough to be used as a handbag too. 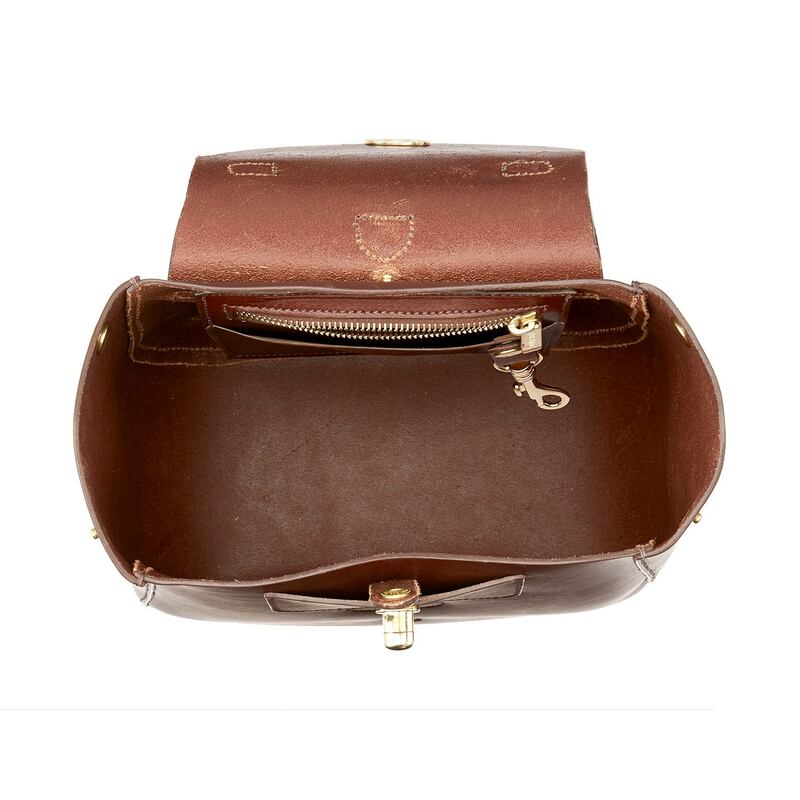 The warmth and depth of our stunning chestnut-brown bridle leather makes it a popular choice across all our ranges of bags. 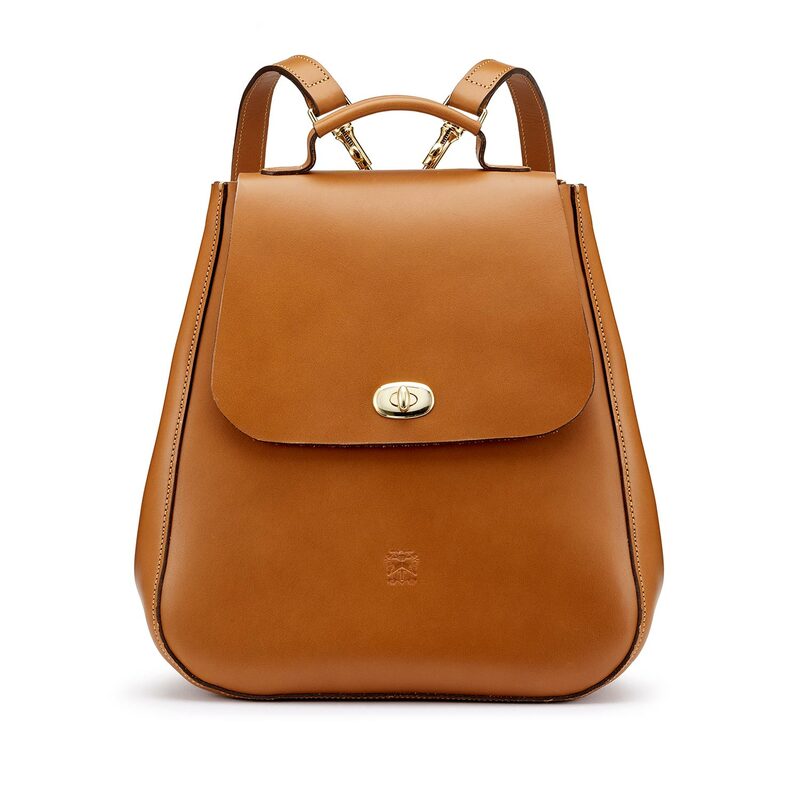 The Eliza’s no different: this adaptable backpack in touchably soft full-grain chestnut leather deserves all the love it gets. 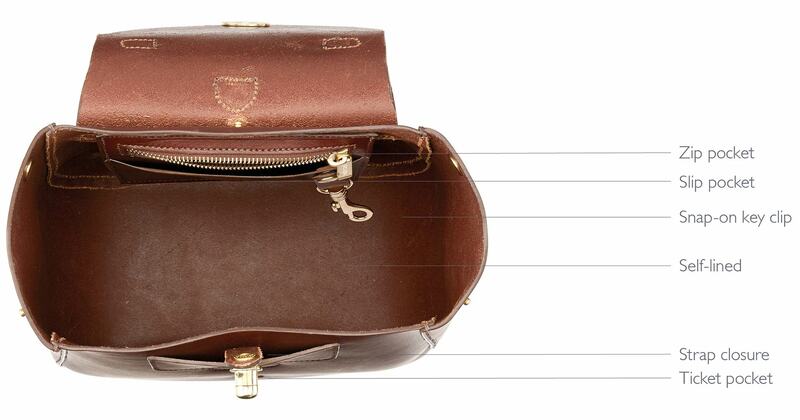 This is one of those cases where we knew a good idea could go further. 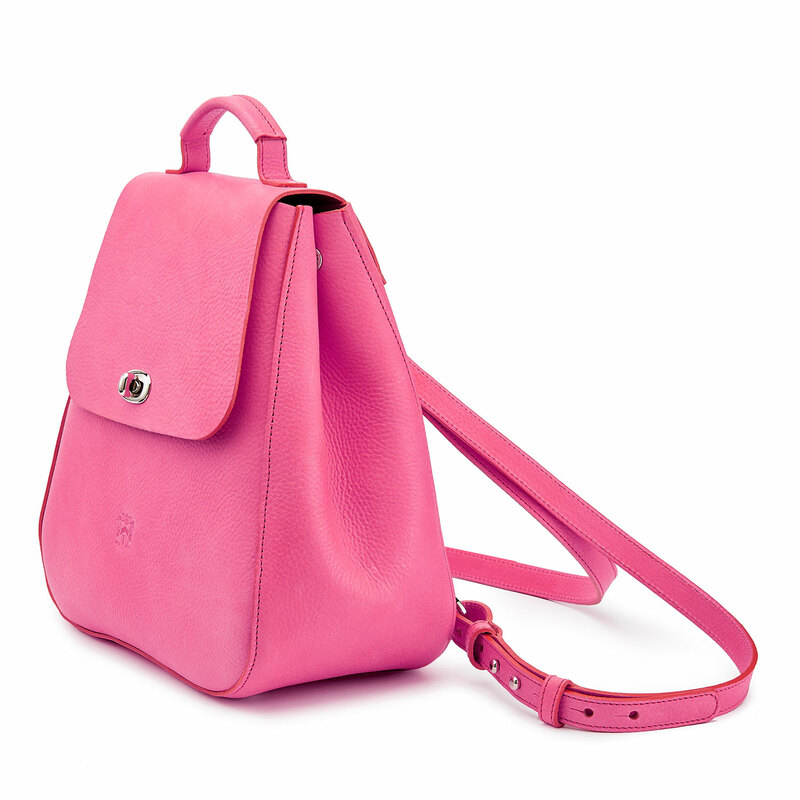 The Eliza backpack followed the Holly handbag to the design table. 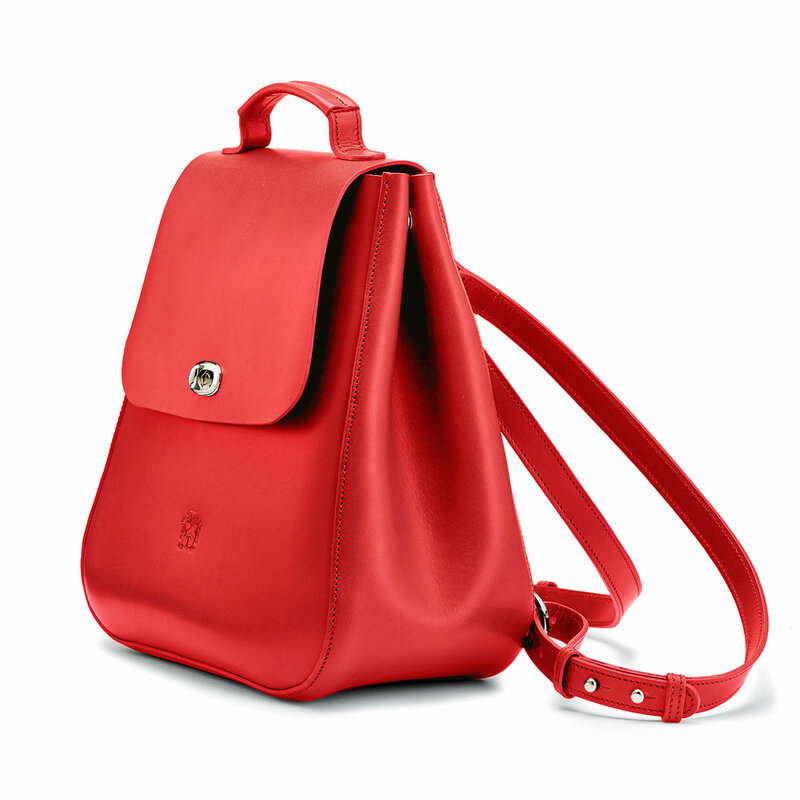 It’s a little larger than the Holly, and we furnished it with fully removable backpack straps for the ultimate in style and versatility. 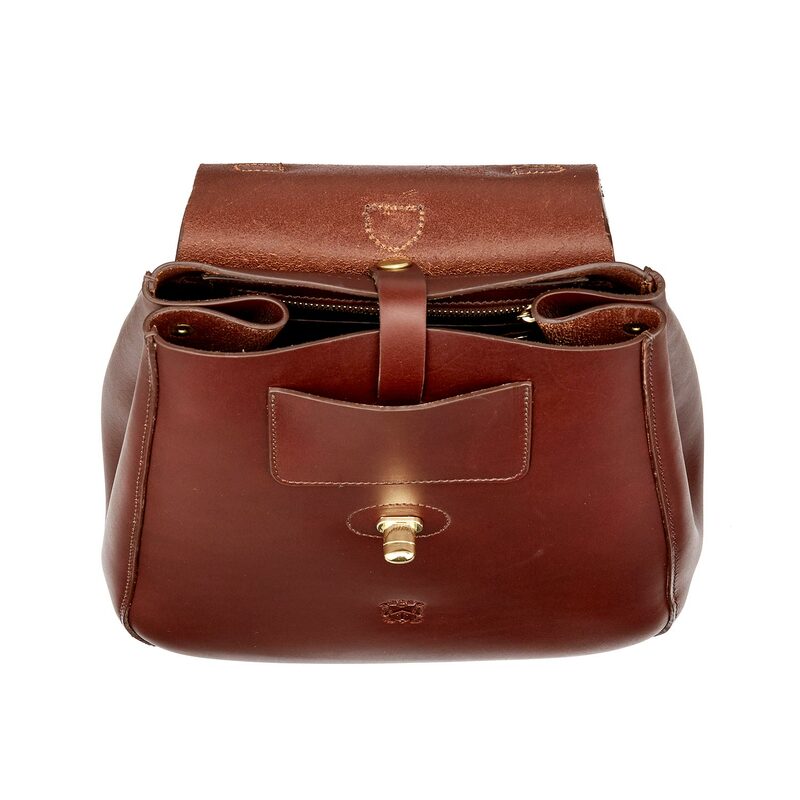 Eliza was named after Eliza Tusting – daughter of the first of our five generations, Charles Pettit, she brought the Tusting name into the leather business when she married John Tusting of Thrapston.